Family and friends of cancer drug campaigner Anne-Marie Rogers said their final goodbyes yesterday. 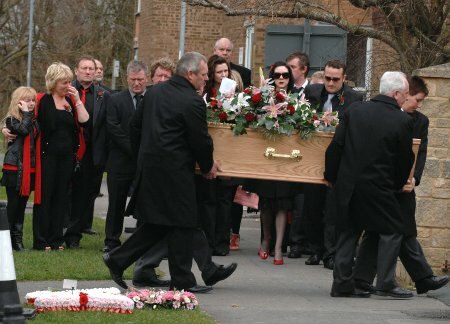 The Swindon mum of three was cremated at Kingsdown Crematorium followed by a service at the St Mary's Catholic Church. The 57-year-old first hit the headlines in 2006 with her high profile case, which resulted in a U-turn by the NHS. But after a long period battling the illness, Ann-Marie died peacefully on Monday. Swindon's Ann-Marie Rogers has finally lost her battle against breast cancer - three years after winning a high court ruling that helped her and 5,000 other women receive cancer drug Herceprin free on the NHS. The mother of three hit the headlines in 2006 with her high profile case, which resulted in a U-turn by the NHS. Her son, Lee Woodrough, said the family was "devastated" by her death but would always be "immensely proud of her bravery in fighting for the right to the treatment she deserved". Her close family believe the Herceptin drug helped prologue her life by as much as 2 years. "Every day is precious when you have someone fighting cancer in your family," Lee added, "the treatment gave her that chance to live. "My mum fought the PCT's decision, not just for herself, but for every single woman who is battling breast cancer." She's battled the Primary Care Trust, the High Court and the Court of Appeal, and now Ann-Marie Rogers can finally celebrate the resounding effect she has had on the course of medical law. Herceptin, the breast cancer drug which targets the HER-2 protein which can fuel the growth of breast tumours, must now be funded by the NHS. The final guidance came today from the National Institute for health and Clinical Excellence (NICE), which made its decision after rejecting an appeal by a local primary care trust. The ruling says that Herceptin should be use in early cases of breast cancer such as Ann Marie's and should be paid for by the National Health Service. The treatment had been given a preliminary green light in June following Rogers' victory in the Court of Appeal, but the decision was challenged by the Newbury and Commuinty Primary Care Trust, delaying the final approval. But the trust's appeal was not upheld and today marks a final milestone in the case which could save thousands of women's lives. And were it not for Ann Marie's tireless battle in the courts, it is unlikely such a decision would ever have been made. Primary Care Trusts now have three months to implement the NICE guidance, which will give the drug to patients with HER-2 positive cancers with a moderate or high chance of their cancer returning. "I feel like I've won the lottery," a triumphant Ann Marie Rogers told the waiting media today following what is a landmark ruling from the court of appeal. Rogers, 54, was appealing against an earlier High Court decision upholding Swindon Primary Care Trust's refusal to fund the breast cancer drug Herceptin. The verdict will mean that around 5,000 women could be able to get the drug, which it is estimated will cost the NHS around £100 million a year. A visibly delighted Rogers was well aware of the significance of the ruling. "It's not just for me it's for other women as well," she said, adding that the NHS should not be able to play God with people's lives. These views were echoed in a statement read out by her solicitor Yogi Amin. "Ms Rogers is pleased that the determination to fight means that all breast cancer patients that are eligible to receive Herceptin at the early stage and are prescribed the drug by their doctors should now receive it. The postcard lottery should no longer exist." He added, "Ms Rogers feels as though a huge burden has been lifted and she hopes now to continue with her cancer treatment and hopes that Swindon Primary Care Trust accepts this decision with good grace." Swindon PCT, who maintained that the decision was not on economic grounds but because the safety implications had not been fully checked, have been refused league to appeal. Ms Rogers had said she faced a 'death sentence' without the drug and feels she can now begin to live again. "I've got my future back," she said. "I'm going to start living again." Swindon's Ann Marie Rogers is this week fighting on for her right to receive the drug Herceptin to treat her breast cancer. Rogers, 54, from Haydon Wick, lost her landmark case in the High Court last month but continues to argue that the Swindon Primary Care Trust's decision not to fund her treatment was 'arbitrary in the extreme'. She claims that she is facing a 'death sentence' if she cannot receive the drug, with no alternative drug available. Although the treatment of Herceptin is currently licensed only for advanced stages of breast cancer, research has proved that it can help women like Rogers who have early stages of the disease. Herceptin targets the HER-2 protein, which fuels the growth of breast tumours in about a fifth of cases. 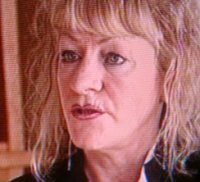 Jan Stubbings, Chief Executive of Swindon's PCT, told SwindonWeb that the decision not to fund Mrs Rogers Herceptin was "not taken lightly" and that it could not prescribe the drug until the safety implications and possible benefits had been checked. The PCT insist the decision was not made on economic grounds. However, Mrs Rogers argues health authorities across the country have been able to adopt different policies on whether or not to prescribe the drug. Last November Health Secretary Patricia Hewitt even intervened when North Stoke PCT refused to fund the drug for mother of four Elaine Barber, resulting in a reversal of the PCT's decision. Rogers' solicitor Yogi Amin has claimed that his client is the victim of a "grossly unfair postcode lottery" and that there was no 'rational reason' that she was refused the drug. Mrs Rogers will continue to receive Herceptin until the Appeal Court makes its decision. Swindon cancer victim Ann-Marie Rogers has lost her fight to be prescribed the breat cancer drug Herceptin on the NHS. In a dramatic announcement today at the High Court, the Judge ruled that - although sympathetic to Mrs Rogers' situation - Swindon Primary Care Trust's decision not to fund treatment for the 54-year-old mother of three was a lawful one. Mrs Rogers shook her head at hearing the news and was said to be 'devastated' by the result. The Haydon Wick resident now faces paying for the drug herself, which costs £1500 every 3 weeks. It is understood, however, that her legal team will now be mounting an appeal to today's decision. Swindon mother of three Ann Marie Rogers must endure an agonising wait before knowing whether she can start a "lifesaving" cancer treatment. The breast cancer sufferer from Haydon Wick last week began her battle to force the NHS to prescribe her the unlicensed drug treatment Herceptin. The 54-year-old has taken her landmark case to the High Court after being refused the drug by Swindon Primary Care Trust [PCT]. If she wins, the ruling could save the lives of tens of thousands of women nationwide. But Mr Justice Bean told the hearing that judgement would be reserved, adding: "The case is much too important for that." He said that he would not delay "more than absolutely necessary" before giving a ruling which could affect many other breast cancer sufferers. The Judge said that he hoped to annouce his decision by 17 February. Ms Rogers was diagnosed with breast cancer in 2004. Though it was brought under control by chemotherapy, doctors advised that if she did not continue Herceptin treatment it would return. Herceptin has been shown to halt the spread of cancer and is said to be effective against her aggressive HER-2 form of the disease. However, she was refused the drug by the Swindon PCT on the grounds that her case was not 'exceptional'. Herceptin is not licenced to treat early stages of breast cancer and the Swindon Trust claim that evidence of its efficacy and safety at early stages is insufficient to make reliable judgements. Ms Rogers has accused the Trust of 'Playing God' and claims that they are putting 'money before life' and effectively condemning her to 'death row'. She has already funded £5,000 worth of the treatment privately and her clinician recommended that she continue to receive Herceptin, but she says she can no longer afford to pay for further treatments. However, the former restaurant manager won a hearing in December when Mr Justice Charles said she had an arguable case of general and public importance that merited a full hearing. He also ordered that the Primary Care Trust continue her treatment of Herceptin until the hearing. 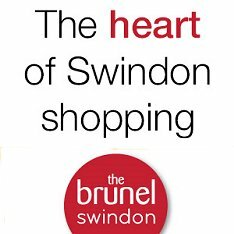 Jan Stubbings, Chief Executive of Swindon's PCT, told SwindonWeb, "We have the greatest sympathy for Mrs Rogers and her family at this difficult time and understand her desire to receive any possible treatment. She adds, "Our decision not to fund Mrs Rogers Herceptin was not taken lightly." "We have carefully considered all available evidence including a whole range of clinical judgements. This includes the Lancet which advises 'at present the available evidence of the efficacy and safety of the treatments for early stage breast cancer is insufficient to make reliable judgements and that to suggest it is a cure would be misleading.'" Ann Marie's case is the first of its kind to reach the courts, as previous legal actions have resulted in the NHS backing down and funding the drug. Last year nurse Barbara Clarke from Bridgwater, Somerset, as well as Elaine Barber from North Stoke were both eventually provided with the treatment before their appeals reached the courts. Evidence collected by BBC's Panorama suggests that many trusts are already prescribing Herceptin in such cases. A survey of cancer doctors revealed that three quarters had been permitted by local health bosses to prescribe it to patients.